Get a golf cart with seat belts for the exciting challenges that wait at The Wilds in Prior Lake. 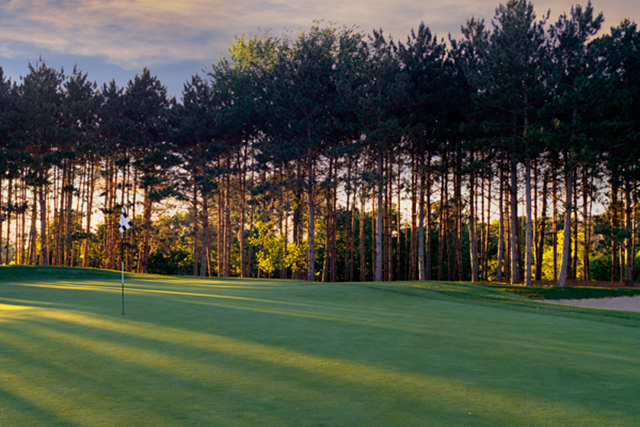 Called Minnesota’s crown jewel of golf, The course features 150 feet of elevation changes that offer breathtaking vistas. Hold on tight to par as more than 70 bunkers and water come into play over nearly half the course, challenging you throughout the round. Impeccably conditioned, the course winds through ponderosa pines, hardwoods, wetlands and wildlife habitats for a golf thrill ride you won’t soon forget. Check back for golf specials.